In the EUR/GBP pair, the base currency is EUR and the counter currency is GBP. The EUR/GBP chartshows the relationship between the two key European currencies – the British Pound and the Eurozone’s Euro. This is one of the most popular and most traded cross pairs and one of the Forex ‘majors’, along with EUR/USD, USD/JPY, GBP/USD, USD/CHF, etc. The GBP/EUR quote represents how many British pounds we should pay per one euro. The cross pairis unique in that it brings together one of the youngest global currencies (euro) and one of the oldest ones (pound). Also referred to as the ‘pound sterling’, ‘quid’, or ‘pound’, GBP is the oldest currency in the world currently being used as a present-day official medium of payment. The British pound was already a unit of currency in the latter half of the 8th century. Nowadays, it used in the United Kingdom, British Overseas Territories, the British Antarctic Territory, the South Sandwich Islands, and Tristan de Cunha. Also, the pound is the third largest reserve currency, lagging behind the US dollar and the euro. In 1999, the UK had an option to introduce euro, but refused. The sign £ is the symbol for the British pound. It is issued and controlled by the Bank of England. The euro was created as the official currency of the European Union (EU) on 1 January 1999. On 1 January 2002, euro coins and banknotes were introduced in 12 participating states. Today, this is a common currency for 19 out of the 28 EU Member States, including the overseas territories, departments and islands. All of them constitute the Eurozone, an area where the euro serves as a medium of payment for all of the independent states. The euro is the second largest currency after USD that is traded worldwide. The sign € is the symbol for the euro. It is printed and controlled by the European System of Central Banks (ESCB). The EUR/GBP pairconsists of the most liquid world currencies. Generally, this trading instrument is considered to be less volatile than other pairs involving the euro or the pound. This is largely due to the economic and political interdependence of the UK and the EU. The EUR/GBP pair is characterised by quite long periods of uptrends or downtrends with little fluctuations that don’t exceed 100 pips. Being relatively predictable, the pair is very suitable for novice traders. One of the largest roller coaster rides was triggered by the Brexit referendum on 23 June 2016, when the UK voted in favour of terminating its EU membership. If you want to trade the EUR/GBP Forex pair, pay attention to economic releases and changes in monetary policy made by the institutions in control – the Bank of England and the European Central Bank. In particular, the sterling is greatly affected by energy prices and interest rate changes introduced by the Bank of England. 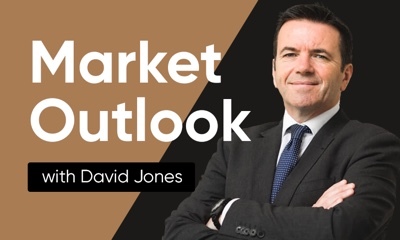 When you’re forecasting EUR/GBP it is advisable to consider major economic changes in the UK and the EU, including GDP, inflation, new monetary policies, etc. In addition, analysts should check the announcements of European and British officials which may also make a difference. It is also vital to keep in mind the exchange rate of both EUR and GBP against other global currencies. The US dollar is by far the most impactful one. So, consider different factors of the US economy, such as GDP, discount and unemployment rates, etc. Explore the EUR/GBP chartat Capital.com to keep track of the price changes for the pair. 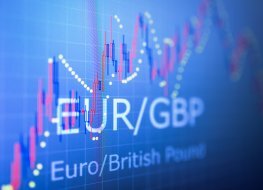 Why is Euro / British Pound important to traders? Trade EUR/GBP CFDs, other major currency pairs, indices, cryptocurrencies, shares and commodities through Capital.com’s award-winning platform. No commission. FCA and CySEC regulated. Up to 1:200 levearage (professionals only). Available on web and mobile. AI technology. Trade now.